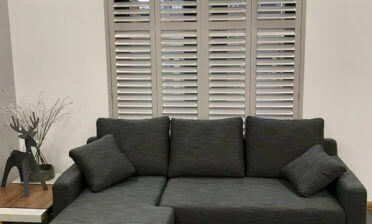 Jamie and Ben were in Croydon, Surrey recently to fit some shutters to a fantastic home for one of our customers. 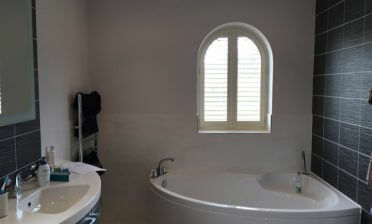 The shutters were to be fitted to some windows in the living room / kitchen area. Being an area with a sofa and TV the client was looking to create privacy when needed, whilst also having full control over the natural light into the room throughout other times of the day. 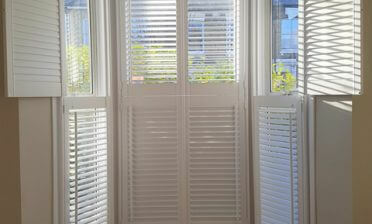 The shutters were created using 76mm louvres which have a hidden tilt rod system. This allows the customer to adjust the shutters through the simple touch of one louvre. Touching the louvre adjusts all other louvres in the panel in unison because of the clever system built into the shutters. Using this method means that no visible tilt rods are needed, which creates a far more minimalistic and modern look perfect for this home! 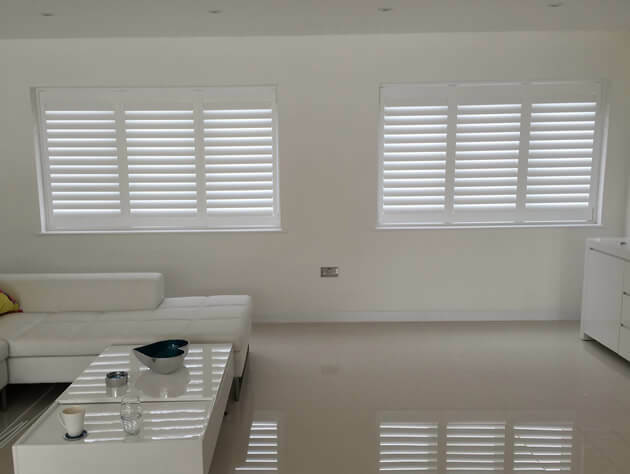 The shutters are full height in style, spanning from top to bottom without a mid-rail, again helping to give a more minimalistic look throughout. They were painted in pure white with matching hinges which works amazingly with the existing decor and look of the home. The natural light creeping through looks great reflected on the marble floor and when fully opened really helps to brighten up this side of the room.